The Six Most Mysterious Places in the U.S. Such intriguing sites as Machu Picchu, Easter Island and Stonehenge are known the world over and are the subject of countless TV specials and books. However, what most Americans don’t realize is that there are many equally interesting and inexplicable sites right in their own backyard, which offer an up-close-and-personal look at mind-bending mysteries and the astonishing architectural wonders of our most ancient cultures. Indeed, you don’t have to journey to far-flung places to have an enigmatic experience with our primordial past. In fact, one of these six mysterious places is most likely within driving distance of your own home—no passport required. Mystery Hill, dubbed “America’s Stonehenge,” is considered to be one of the largest—and possibly oldest—megalithic sites in the United States.” The 30-acre site contains a perplexing array of walls, tunnels and caves and huge 11-ton stone slabs that form an accurate, astronomically aligned lunar and solar calendar. 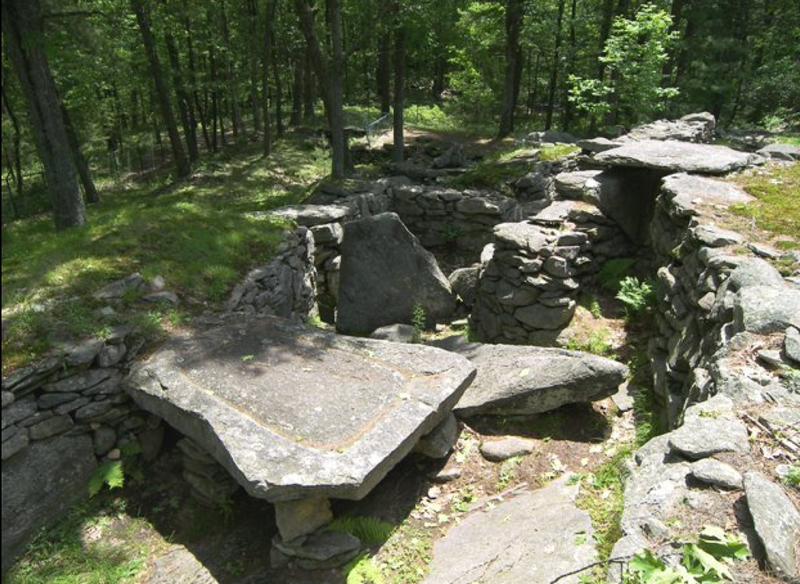 One of the main features is a giant table-like flat stone with a gutter and drain spout around the edges that is said to have served as a sacrificial stone for pagan rituals. Underneath the 4.5-ton stone is an eight-foot-long tube that leads to a hidden, underground chamber. The theory is that priests concealed in the chamber used the tube to speak as the voice of an oracle or god. To a crowd gathered at the altar, the spooky, distorted voice would appear to be coming from the sacrificial stone itself. However, the civilization that built America’s Stonehenge still remains a mystery. Two separate carbon-dating tests have determined the site to be around 4,000 years old—long before the time of Columbus. 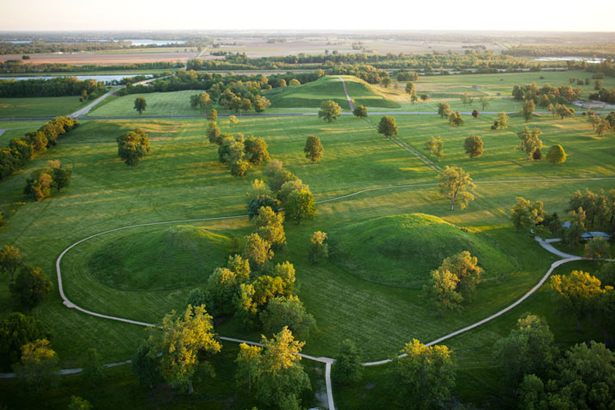 Cahokia Mounds is the largest prehistoric Indian civilization north of central Mexico. It is believed that the city was inhabited by more than 20,000 people around 1050 to 1100 A.D.—larger than the population of London at the time. Originally, there were 120 earthen mounds built on site; today, 68 still remain. More than four city blocks long and originally built in the shape of a giant pyramid, Monk’s Mound is the largest prehistoric structure to be found in North America. During the excavation of nearby Mound 72—a ridge-top burial mound—archeologists found the remains of a priest or king. The forty-something male had been buried on a bed of 20,000 marine-shell disc beads in the shape of a falcon. Over 250 other skeletons were also recovered from the site, some missing hands and heads, which seemed to indicate that they had been human sacrifices. Cahokia Mounds is also credited as the birthplace of “archaeoastronomy,” or the building of structures to align with celestial occurrences. Many Native American and New Age groups believe that Cahokia still remains a powerful source of psychic energy. 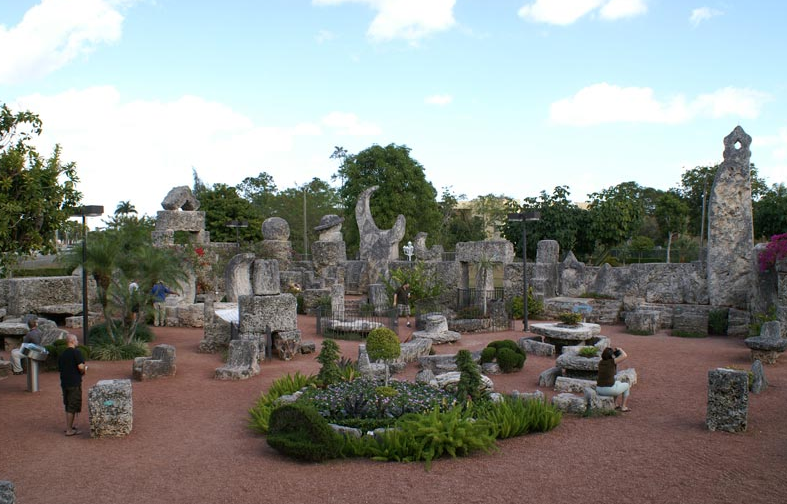 Although not considered “ancient,” the Coral Castle remains one of the world’s greatest architectural mysteries. Single-handedly quarried and constructed by Edward Leedskalnin, a frail five-foot-tall, 100-pound Latvian man as a token of (unrequited) love for his “Sweet Sixteen,” his amazing creation of Coral Castle was carved from more than 1,100 tons of coral rock, including 100 tons of “celestial” sculptures and took 28 years to make. The average weight of these coral blocks—four to nine tons each—are far heavier than those used to construct the Great Pyramids of Egypt. Some of the open-air castle’s more incredible features include an Obelisk stone that weighs 28.5 tons and is taller than the Great Upright at Stonehenge; a sundial that determines the solstice and equinox days and is so accurate that one can gauge Standard time within one to two minutes year-round; and the crooked, though impeccably balanced, Nine-Ton Gate that can be opened with the slightest touch. To this day, no one can explain exactly how Leedskalnin accomplished this Herculean feat by himself. When asked, he would merely reply that he understood the secrets of how the Great Pyramids were built. To the dismay of scientists and engineers everywhere, Leedskalnin never fully revealed his mysterious mind-over-matter construction methods and the secret died with him in 1951. A vortex is the funnel shape created by a whirling or spiraling energy—much like a tornado or water going down a drain—that is said to amplify the thoughts, intuitions, emotions and spiritual levels of all who step inside. To find the heart of the vortex, observe the surrounding Juniper trees—the stronger the energy, the more the trees react by growing in an axial or helix-like twist. Boynton Canyon (close to the ancient ruins of Palatki): Balancing energy of the yin/yang. Red Rock Crossing/Cathedral Rock: Feminine energy to encourage kindness, compassion, patience and consideration. Airport Mesa: Masculine energy to strengthen and promote self-confidence. 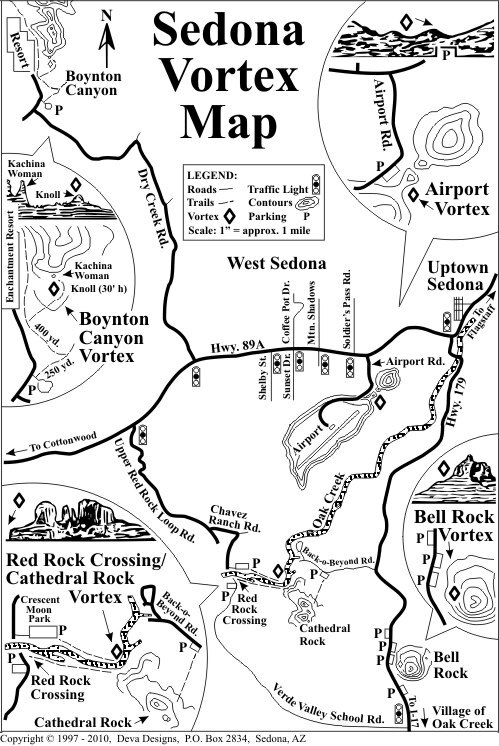 Bell Rock: The strong energy at this vortex strengthens all three parts: the masculine side, the feminine side and balance. Prospectors discovered the Medicine Wheel around 1885; however, carbon dating done on the wood from one of the cairns dates back to 1760. Today, scientists and archeologists believe that the Medicine Wheel was created between 1200 and 1700 A.D. by Native Americans. In deference to its sacredness, many contemporary medicinal and ceremonial plant gathering areas, sweat lodge sites and tribal altars (some with fasting enclosures for vision quests), are positioned nearby. 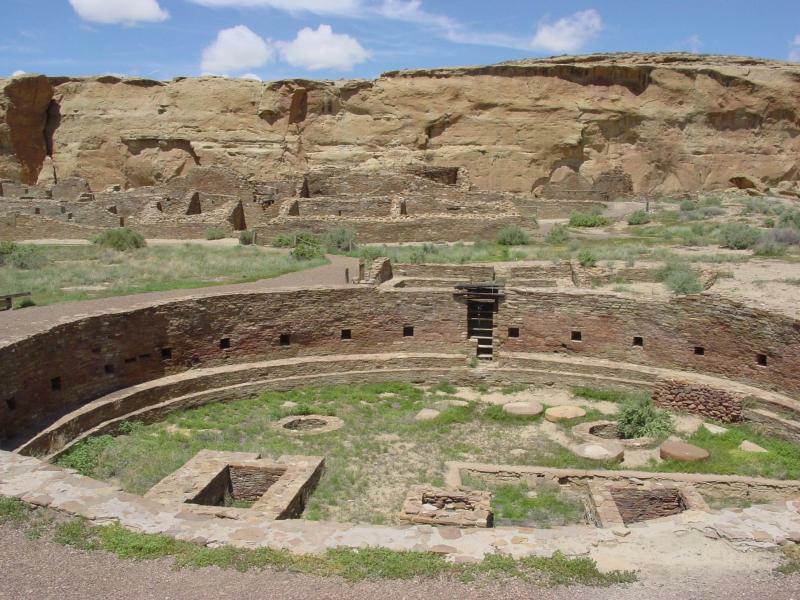 A thousand years ago, the Chaco Canyon civilization served as the economic and political center for the approximate 6,000 members of the Anasazi tribe that lived there, whose strange disappearance keeps their legacy forever shrouded in mystery. 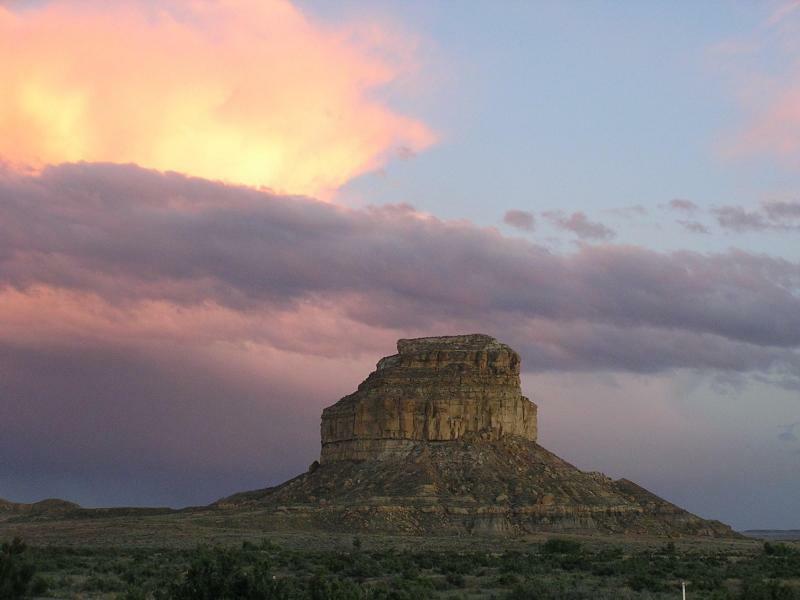 What little is known of the Anasazi has been culled from the 1,200 ruins found in Chaco Canyon’s complex system of houses, along with an abundance of turquoise jewelry, decorative pottery and cryptic petroglyphs. Even more impressive is their intricate system of unusually straight and wide roadways that can only be viewed from the air, thought to have been built for pilgrims or traders from other communities as far as 50 miles away. In the truest sense of the phrase, all roads lead to Chaco Canyon. 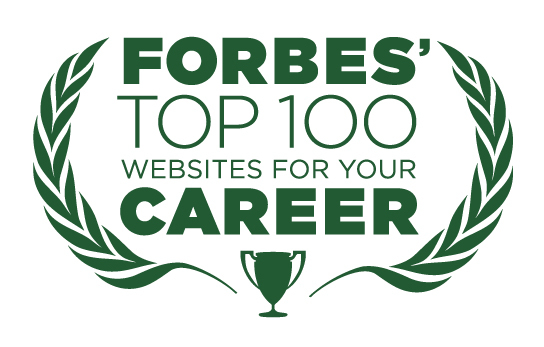 Tiffany Owens is a freelance writer living in Portland, OR.